The technology world has witnessed a massive advancement almost in every field particularly in wearable technologies. Every major wearable fitness device manufacturer is researching and developing technologies that are one step ahead of its rivals. We have reviewed few popular wearables before, the Apple watch, Samsung’s GearFit and Fitbit Surge. We found them quite impressive in terms of the useful functionalities they offer to keep a regular and accurate track of your health and fitness. 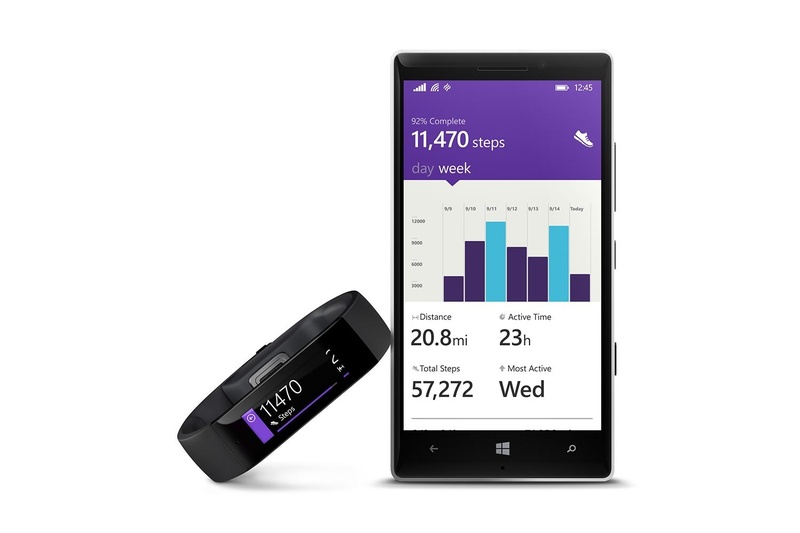 The recently introduced Microsoft Band is the new catch. As far as we have explored it, it has simply rocked the market of wearables and gives a tough time to the major fitness trackers present in the market. Because of all the incredible features it offers, we direly felt the need of reviewing this absolute beast. Is it too good to be true? Let’s find out in the review. We simply can’t fake our thoughts regarding the design of this band. Sadly, the Microsoft band has been fashioned out a terrible way. We have tried on many fitbit wearables but nothing felt as uneasy as this Microsoft Band. No matter how loosely you wear it or change its placement, it still feels chunky and uneasy on the wrist. Surprisingly, the display rests inside of the wrist, which is bit weird as such a location puts the screen at risk of getting scratched or broken. To summarize these agonizing comments, we would like to brief it with two words that perfectly define its structure, ‘ergonomic-disaster’ is what this band can be acquainted with. 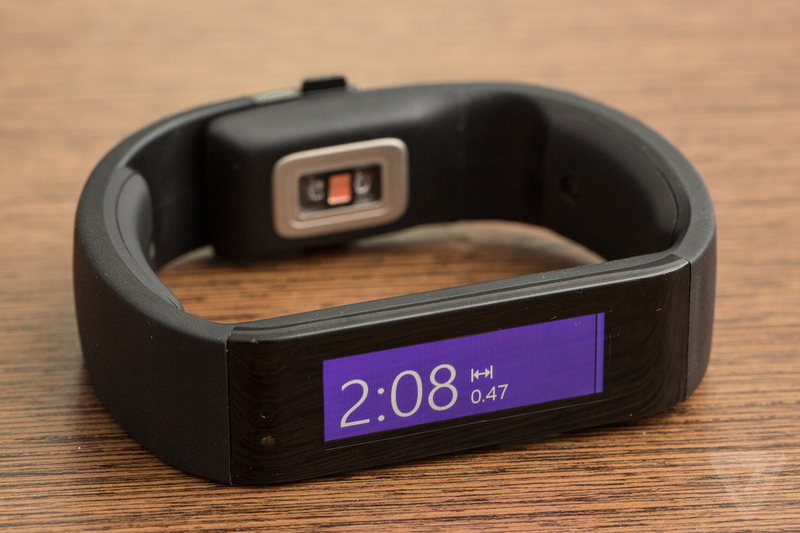 Moving on, talking about the display, we have something good to say about the Microsoft Band. It comes with full-colour TFT display featuring a bright and crystal-clear representation with a responsive touchscreen. The display resolution is fine introducing 320 x 106 pixels. The pixel quality is superior enough to make the user read off the information displayed on the screen very comfortably. We discovered it extremely accurate at recording the fitness activities. It is good at measuring the steps each day, you can set a particular target and shed off a specified number of pounds in a specified time. When going for more intense activities such as running, weight training or cycling, you can select them by default. All you have to do is hit the Action button and your activity will be apprehended. The band will also keep you updated on the distance covered on the go. Moreover, one of the key features that captivated us is its ability of measuring the workout belonging to various activity conducts, including both weights and cardio. It also enables the user to explore sleep tracking metrics. It tells you even the minutest details about your story of napping: the duration of your sleep, the calories you burnt while sleeping, and lets you know the heart rate as well. Being this sensitive, it surely serves the principle purpose of looking after your fitness activities. You will be delighted to know that Microsoft Band is compatible with all kinds of phones: iOS, Android and of course the Windows phone with the aid of Microsoft Health app. The app serves as a key place from where you can get all the fitness data. It not only helps you avail the statistics generated on the band but it also provides you with the information of third-party apps. The information is further elaborated in much meaningful data by showing graphical representations enabling the user to interpret the record more accurately. Now, you might be wondering what is the life of this band. Microsoft confidently assured us that it comes with two days battery life, which disappointingly is not at all true. If you are opting for this band, make yourself ready for charging this device at regular intervals. Even if you plan to undertake any small activity with GPS such as running or jumping for a short time, you will soon see the device dying and running out of juice. But the good news is, it gets fully charged within two hours of charging. 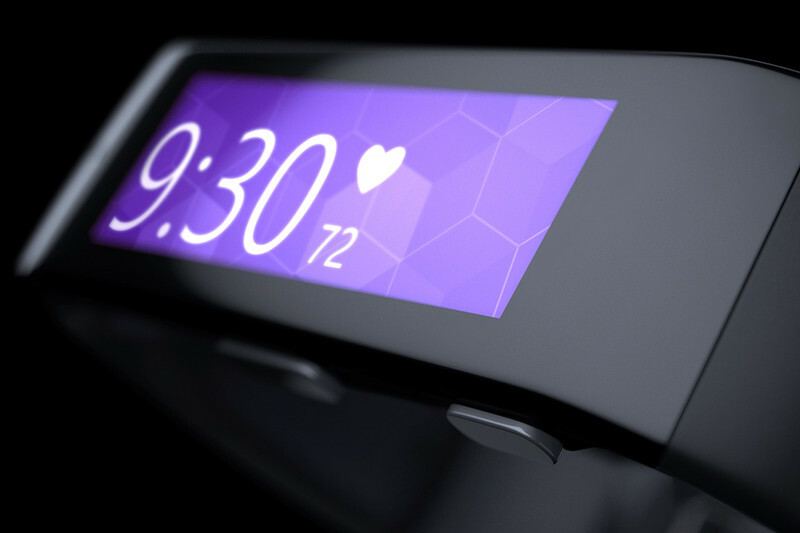 The Microsoft band was quite predictable keeping in mind Microsoft products. It does its job and does it pretty well and accurately. But we couldn’t spot the reason of it’s design being so impractical and ugly. Having so many useful features and accurate functioning, how could Microsoft miss out such an important aspect? Moreover, the device drains out really quickly. Overall, this wearable is a tricky one to place on the scoreboard as it does its principle tasks quite intelligently making it a dexterous fitness tracking device but on the other hand, we have the uncomfortable design issues. Well, if not caring about anything else and you solely want a device that keeps a good track of your fitness related activities, Microsoft is certainly a smart choice for you.